Have you noticed your car insurance premiums creeping up? It’s not your imagination. Car insurance rates have been rising in Arkansas because of more frequent floods, more people on the road and higher rates of distracted driving. That doesn’t mean you have to accept a big insurance bill! We’ll walk you through how to find the cheapest Arkansas car insurance. If you’d rather skip all the explanations, you can start comparing free quotes to find the best deal for you. 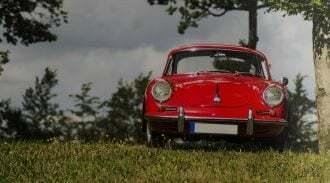 What Are Arkansas’s Auto Insurance Requirements? Arkansas’s car insurance laws are pretty basic. To drive legally, you need to carry 25/50/25 liability insurance. That means your car insurance must include $25,000 in per person and $50,000 per accident in bodily injury liability, plus $25,000 in property damage liability. What does this mean? Bodily injury liability pays for other people’s medical bills and lost wages when they’re injured in an accident you’re legally liable for. Property damage liability pays for damage to other people’s cars and property in an accident you’re liable for. Is Personal Injury Protection Mandatory in Arkansas? In Arkansas, PIP coverage “follows the person”. That means your PIP benefits can apply even if you’re hurt while riding in someone else’s car. How Do I Find the Cheapest Auto Insurance in Arkansas? Arkansas car insurance is not too expensive, as a rule. The state ranks 34th for the average annual cost of car insurance, according to the Insurance Information Institute. However, you may not be average! 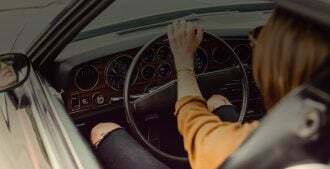 If you’re young or single, or if you have a spotty credit history or bad driving record, your car insurance rates may go up. The only sure way to find the absolute cheapest car insurance for you is to compare customized quotes side by side. Compare.com makes it easy. All you have to do is enter your basic info one time to get quotes from several insurance companies. Pick one of four levels of coverage: State Minimum, Basic, Plus or Premium. To find the absolute cheapest Arkansas car insurance, start with state minimum coverage. This will give you quotes for a rock-bottom policy that meets the 25/50/25 requirements. Compare personalized quotes from multiple insurers for the minimum level of coverage, then pick the cheapest. Should I Carry More Than Arkansas State Minimum Insurance? Comprehensive and collision coverage: This coverage will fix your car if it’s damaged by a hurricane, flood or crash with an animal. Did you know Arkansas is one of three high-risk states for collisions with deer? How Do I Find the Cheapest Arkansas Insurance That Gives Me Enough Coverage? Compare.com can help you find that perfect middle ground: cheap Arkansas auto insurance that will protect you in an accident. Step one: Start at the bottom by getting personalized quotes for state minimum insurance. To show you how it’s done, we ran the numbers for a 27-year-old woman who’s shopping for auto insurance in Fayetteville, AR. She has a good driving record and drives a five-year-old Elantra. Her best quote for 25/50/25 state minimum coverage was just $46 per month when she opted to pay her premiums up front (which means avoiding a down payment plus installment fees). That’s pretty cheap car insurance for Arkansas! However, our Fayetteville driver wants a little more protection. With a newer car, she really needs collision and comprehensive coverage, and uninsured motorist coverage is always a good idea. So she goes to step two: Selecting the next highest coverage level — Basic — and comparing quotes again. 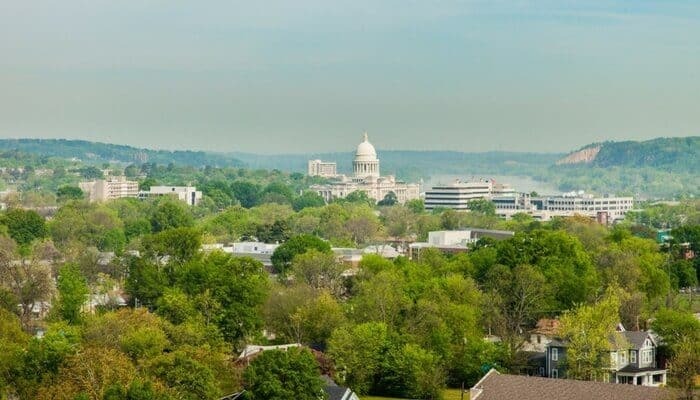 In Arkansas, Basic coverage includes the same 25/50/25 bodily injury liability, but adds 25/50/25 uninsured motorist coverage, plus comprehensive and collision with a $1,000 deductible. Now, our driver’s best quote is $133 per month. The last step is getting quotes for the Plus level of coverage, too. Plus increases bodily injury and property damage liability to 50/100/50 (with the same limits for uninsured motorist liability) and adds $5,000 in PIP coverage for medical benefits and accidental death benefits, plus work loss benefits. It also cuts the comprehensive/collision deductibles to $500, and adds towing/rental car coverage. For our Fayetteville driver, her best quote for this coverage is $249 per month. That may be too much if she wants the absolute cheapest AR auto insurance she can find, but it does give her decent protection. There are other options to save money, too. If you click “Customize coverage,” you can adjust the deductibles, add or delete towing and rental car coverage and choose specific coverage limits. When the Fayetteville driver customizes Plus coverage to have a higher deductible and no rental car/towing coverage, her price per month drops to $219. That’s a pretty significant savings. I Can’t Afford Arkansas Car Insurance. What Happens if I Drive Without Insurance? If police stop you and discover you have no insurance, they can seize your car’s license plate right there. You have 10 days to prove that you actually were insured — and if you don’t, your registration will be suspended. You’ll have to pay a $20 fine to get it restored, as well as a penalty of $50 to $250. That doesn’t sound too bad… but the next time you’re caught without insurance, things get worse. A second offense carries a mandatory $250 to $500 fine, and a third offense may mean up to a year in jail plus a fine of up to $1,000. Don’t drive uninsured! We’ll help you compare the cheapest Arkansas car insurance options. Best of all, it only takes a few minutes. Get started now.